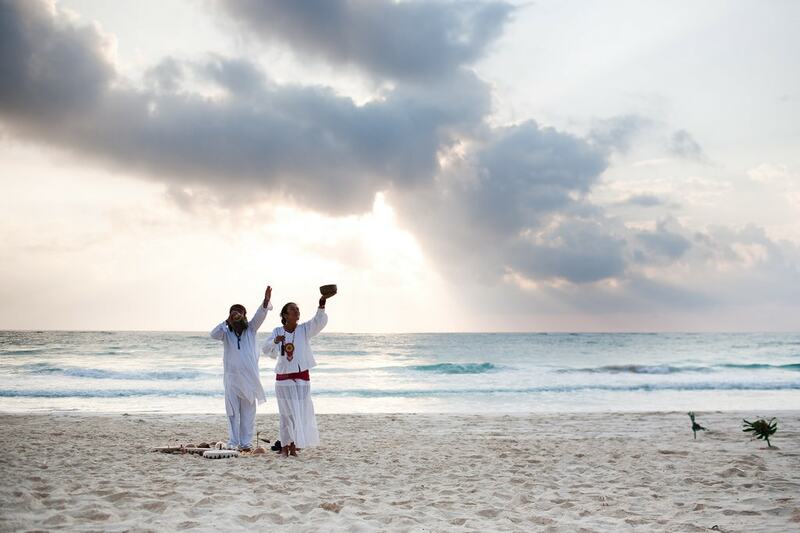 With its vibrant arts scene and world-class restaurants, Tulum has established itself as one of Mexico’s premier tourist destinations. Yet what really makes the town stand out from the crowd is its collection of incredible beaches. 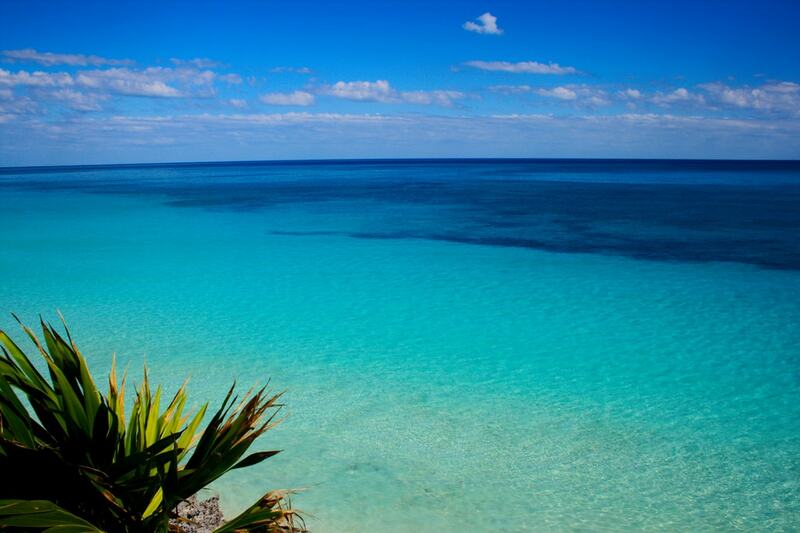 Blessed with powdery white sands, azure waters and looming palm trees, Tulum truly is a beach bum’s paradise. Here’s our rundown of the top beaches in and around the town. 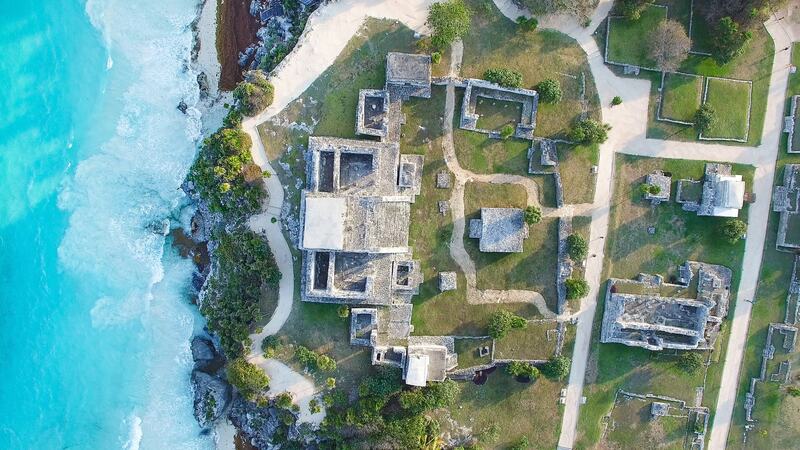 Tulum’s reputation for stunning aesthetics rests largely on Playa Ruinas, which boasts well-preserved Mayan ruins overlooking the Caribbean Sea. Undoubtedly one of the most beautiful (and photographed) sites in the Americas, the beach combines white sand, turquoise waters and a site of genuine historical importance. The clifftop Castillo was built as a watchtower in the 13th century and is now the third most visited archaeological site in Mexico after Teotihuacan and Chichén Itzá. The appropriately named Playa Paraíso, which translates as Paradise Beach, is another of Tulum’s most Instagram-ready spots. This majestic, untouched stretch of sand is surrounded by looming palm trees and rugged cliffs. A popular place for yoga enthusiasts and iguanas, the beach is large enough to ensure that it’s never overrun with people. There are also plenty of restaurants on site to buy food and cocktails and boats offering snorkeling excursions in the warm sea. Another legendary spot in Tulum, Las Palmas is blessed with a serene stretch of sand and gentle turquoise waves. 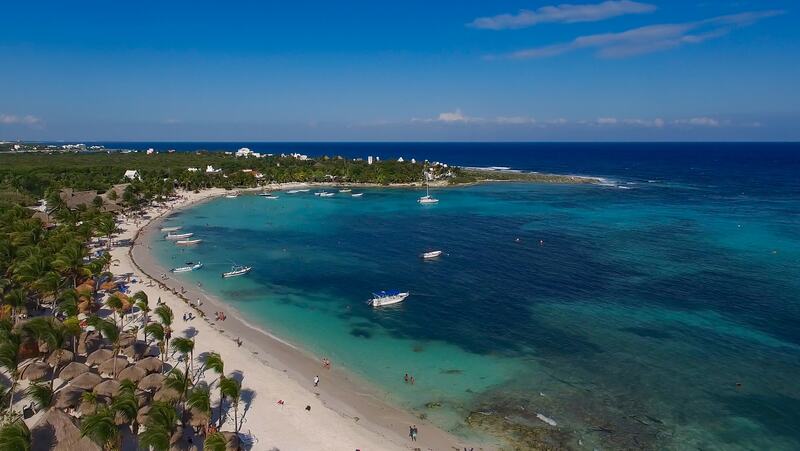 More secluded than Playa Paraíso, you won’t find vendors or restaurants in the immediate area. Although this may be less convenient, it also means Las Palmas is the perfect place for tourists looking to escape the crowded beaches in nearby Cancún or Playa del Carmen. Bring your own picnic and get down to the serious business of soaking up the rays. 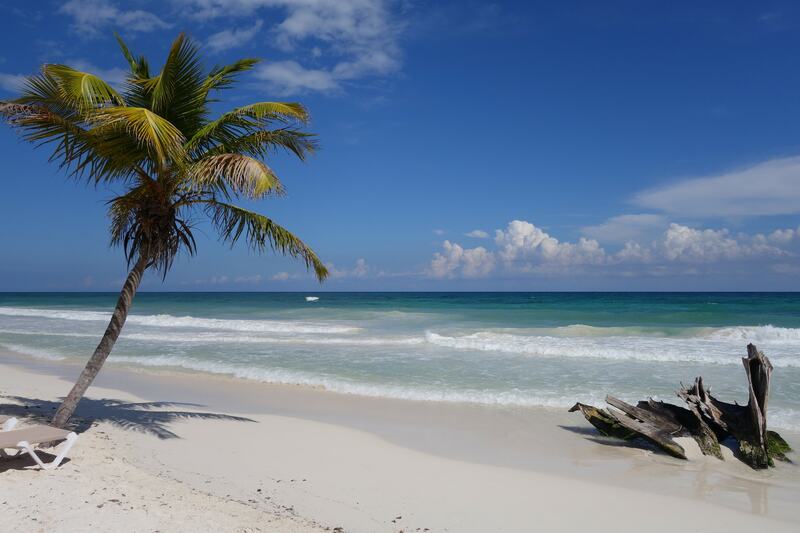 Less than 30 minutes by car from central Tulum, Akumal Beach is a large and popular sandy stretch that is great for families, sandcastles and swimming. Notably more commercialized than the secluded beaches surrounding Tulum, Akumal backs onto a broad selection of palapa-roofed bars and restaurants. Beach umbrellas are available to rent and excellent food and ice cold beers are on offer throughout the day. With that in mind, you may never want to leave. While Playa Ruinas and Playa Paraíso typically grab the spotlight, venturing off-the-beaten-track can reap great rewards in Tulum. Head to the Secret Beach, which lives up to its name in by offering a secluded spot located deep in the Sian Ka’an Biosphere Reserve, an area that was named a World Heritage Site by UNESCO in 1987. This gorgeous virgin beach boasts clear, calm waters and is often literally deserted. It takes about an hour to reach the beach by bike from central Tulum. Bring your own lunch and a Spanish dictionary – the Secret Beach is still very much a secret and is mostly visited by Mexicans.